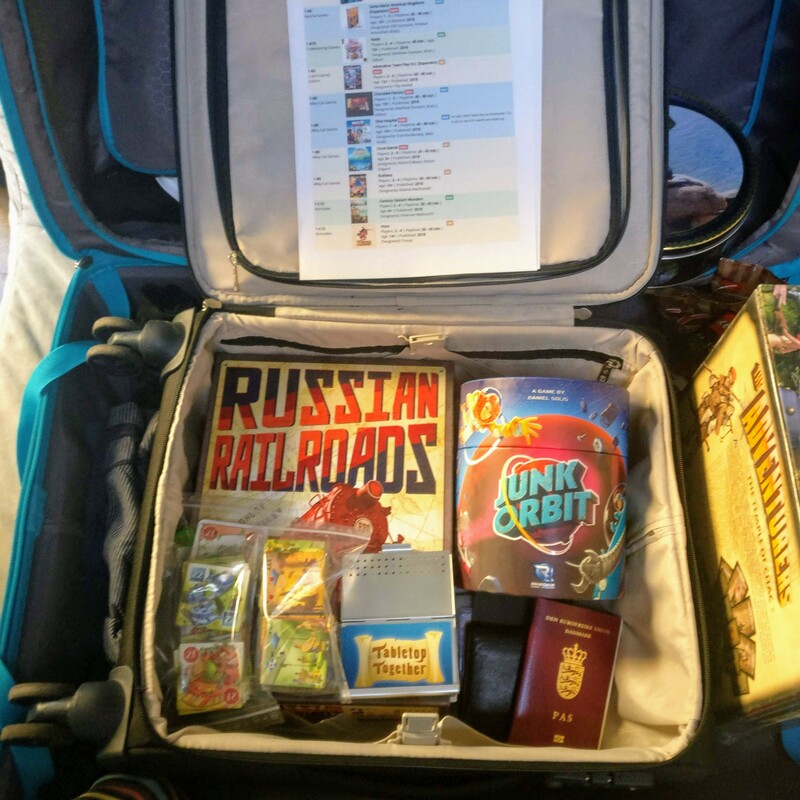 Who needs to pack clothes when you’re going to a board game convention? 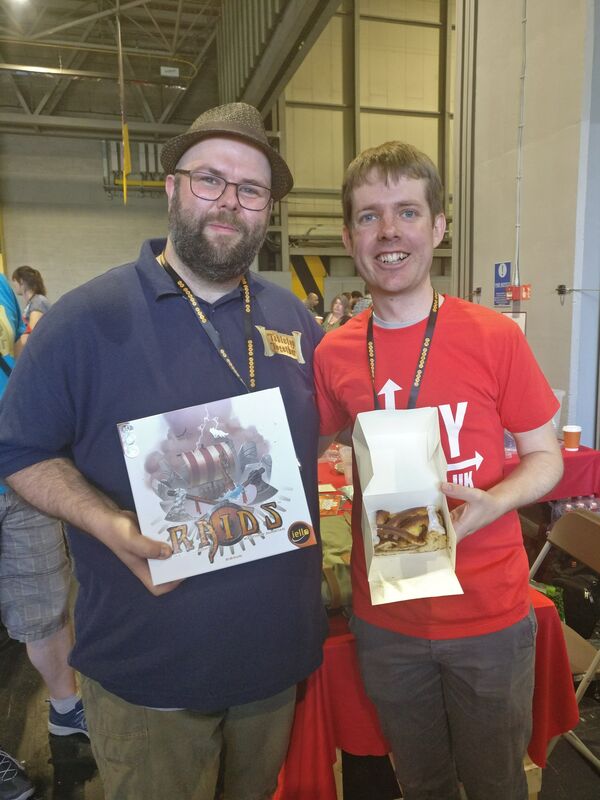 Going to any convention requires some planning and preparations, and UK Games Expo 2018 was no different. In addition to all the things you normally do when you travel somewhere (pack clothes, money, passport, book flight and hotel) I always spend a lot time reading up on games. All of this research and prioritization over the years led me to develop the Tabletop Together Tool. It not only helps me out but thousands of other people too. This year I decided not to schedule any meetings, just made a lot “catch you at your booth” arrangements. I did want to bring a little gift to the designers and people I knew there. I always like to bring people little gifts, it does take some effort, but it’s worth it to make other people happy. So I spent a little time getting Danish candy. UK Games Expo is the 3rd / 4th largest board game convention in the world. But unlike Essen SPIEL (the biggest convention in the world) this is a convention that’s not as focused on new releases and publishers selling their new, hot games. It’s a convention more about playing games, talking about games and all the good things related to games. It has a big Bring & Buy shop, where you can get second-hand games. It has lots of talks and seminars you can attend. And it has lots of demos of upcoming games. The “feel” there is a lot less stressful than Essen SPIEL. Since it’s full of british people everyone who are so polite and nice. It truly is a great experience and a great contrast to the mad flurry that is Essen SPIEL (that I also love, but for different reasons). My trip to the expo started early (way too early) Friday morning, when I woke up at a friends (and traveling companion) parents house in Copenhagen. We were catching a flight that would be in Birmingham just in time for the opening. Tired from my lack of sleep I was focused on acquiring the 2 main games on my list: Raids and Century: Eastern Wonders. Luckily I managed to get both quickly. After that I spent a lot of the day talking to the publishers / designers / friends I had promised to visit. I didn’t manage to play many games Friday, but did watch 2 of my friends play a game of Teotihuacan: City of Gods and try out 5 Minute Chase and Escape Tales: The Awakening. 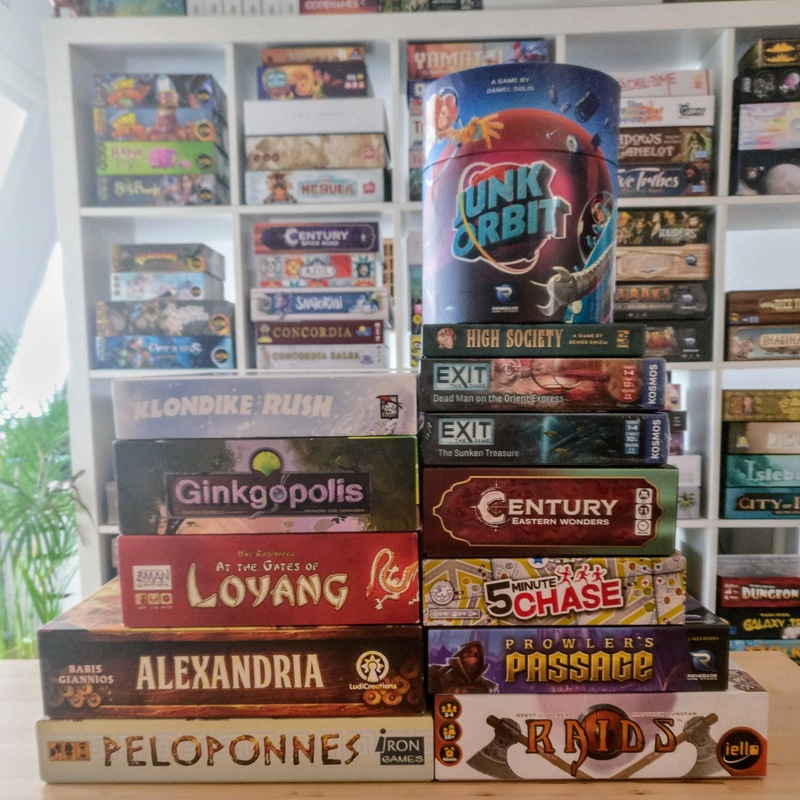 After a long day of talking to wonderful people it was back to the hotel for some food, beer and a couple of games before I went to bed, tired but with a pile of new awesome games. Saturday was a full day of playing new releases and demos. I had a great time playing games and demos with my friends and fellow Tabletop Together contributors. Some games were not for us while others were. That’s one of the things I love about being at a convention, you get to try out games you wouldn’t normally. Sometimes you get surprises. I also made a stop at the Bring & Buy and managed to pick up 4 games (among them At the Gates of Loyang). Again the day ended with games being played at the hotel. Many games, and many beers. Sunday was my last day there, and in fact I had to catch a flight at noon, so I didn’t have much time at the expo. But did manage to play a few rounds of Spirit Island before I left (and was sad that they sold out). It was all over too soon. I’ll be going back again next year for sure, for sure, but will stay longer next time. I plan on arriving Thursday and staying until Monday, to have more time to play games and hang out with great people. This was one of the games I knew I wanted and my second pickup Friday. I had high hopes for it and it did not disappoint when we played it back at the hotel later that night. Simply put, it feels like a mashup of Tokaido and Jamaica, two games I own and love already. It’s light hearted but can me very mean and it just has such a clean design. The art is amazing too. Renegade Games Studio was kind enough to send me a copy of this before the expo and I just had to bring it along to play with people. I’m actually not a big fan of pick-up and deliver games, but this one really has a unique take on it and a wonderfully quirky theme. The colours pop and it’s a quick game. Everyone I played it with really enjoyed it, including myself. I’m cheating again! I didn’t actually get to play this, I only got to watch a few turns of it. My friends and contributors played it, and they absolutely loved it. From hearing their description of their experience and the fact it is designed by one of the designers of Tzolk’in: The Mayan Calendar (that I love). It’s currently on the top of my Essen SPIEL list. op experience where each player controls a very different spirit, working towards the same goal of driving out the evil humans. Meeting Matthew Dunstan in person and getting to chat with him and having him (and Brett J. Gilbert) sign my copy of Raids. Playing Raids at the hotel with a beer in hand with friends.